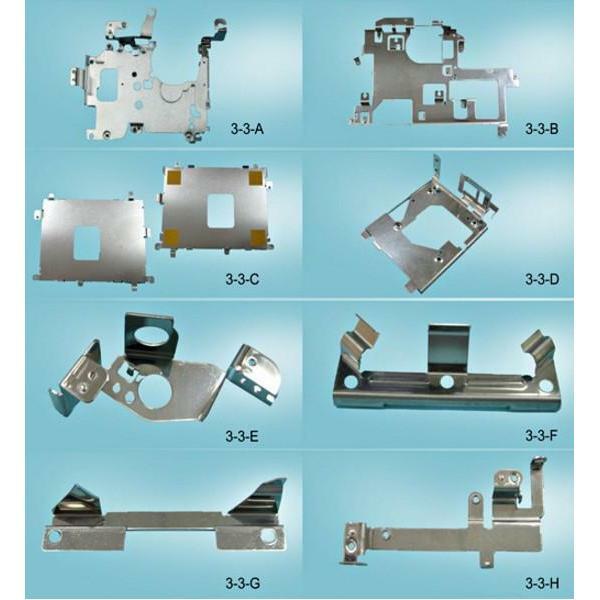 Ming Chiang Precision Co., Ltd. has been providing thin-gauge metal stampings, tooling dies and customized assemblies since 1994. Since its initial strategy involves a wide range of different areas, including consumer electronics, automotive, transportation, medical and industrial supplies. Over the years, we have been committed in improving customer satisfaction, good quality of products, competitive prices and good delivery lead time. Our factory is located in the central part of Taiwan - Changhua , playing a supplier role in the international market. Customers from Europe, Asia and the United States have found that they have many advantages when working with innovative and agile partner like Ming Chiang. Customers who are satisfied with our quality and chose us as their long-term partner. 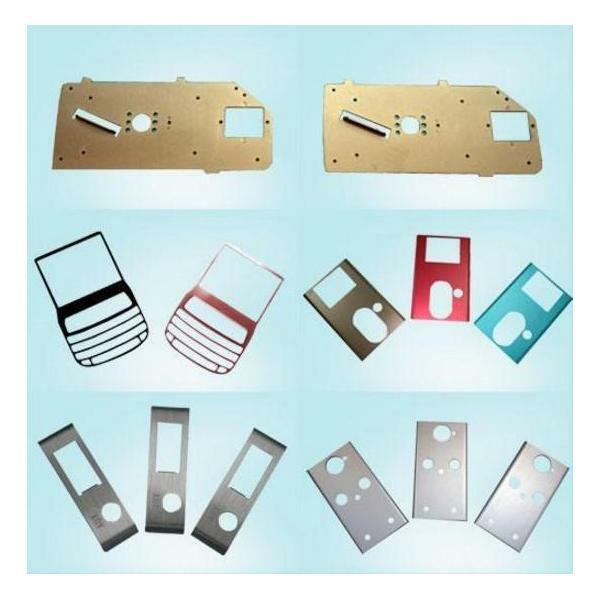 To meet the needs of our customers, we offer continuous and precise technology for custom stampings. We have knowledgeable tool makers and designers whose skilled craftsmanship reflects high quality of work. 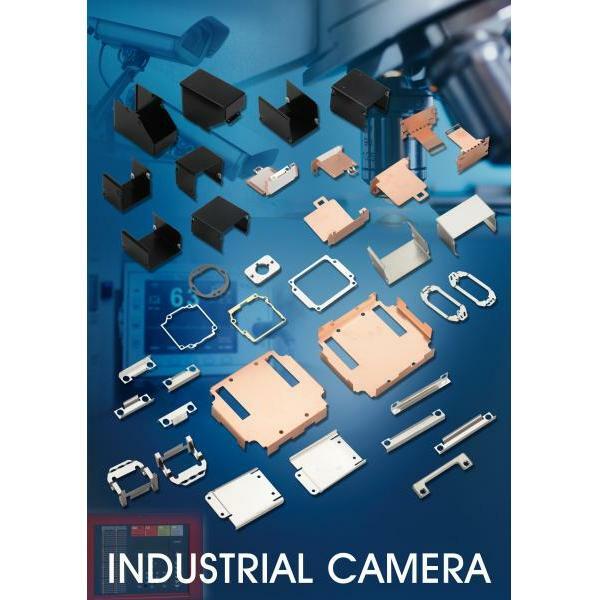 Include EMI Shielding, antennas, springs, automotive parts, burr-free light weight complex forms and other features. To help our customers reduce time-to-market, we are able to provide production-ready and precision metal stamping in less than four weeks without sacrificing quality due to rapid production. We have unique practical experience to handle a wide range of materials from Steel , Brass , Aluminum , Plastic and other materials. Our suppliers are carefully selected to provide us with the right and most cost effective materials. 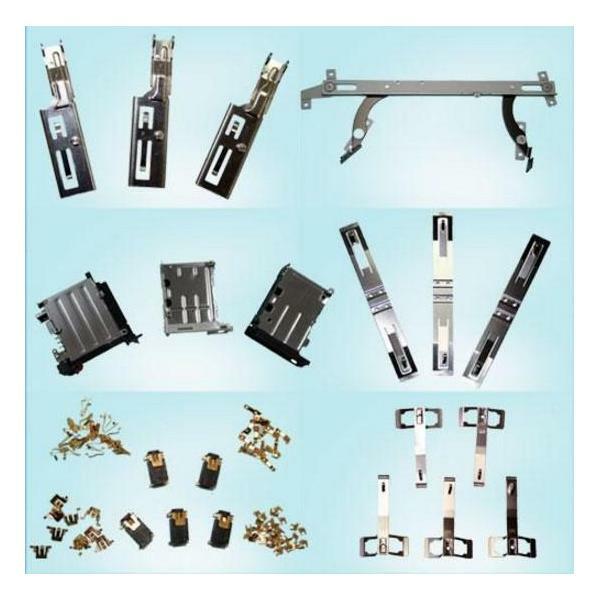 Above all, we are confident that we can provide you with customized metal stampings and components to meet the requirements of each project and solve your problems. Ming Chiang has been pursuing improvement, so we have passed a number of certifications. If you are looking for a long-established, trustworthy partner known for its reliability, precision components and rigorous quality. Ming Chiang is the one that you've been looking For. We have obtained the certification of ISO 9001 , ISO 14001 , IATF 16949 and ISO 13485 . 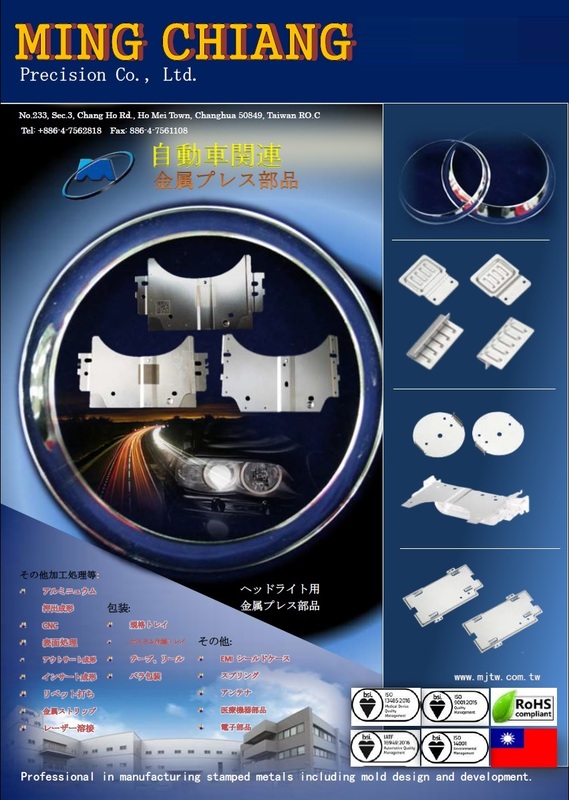 The raw materials and surface treatments are conforming to RoHS with import countries environmental regulation. 2016 - Officially entered the Italian Magneti Marelli Group , and became one of their suppliers. We are very pleased to receive your inquiry and discuss in-depth technical solutions with you. Your orders in small and large quantities with various items are welcome.